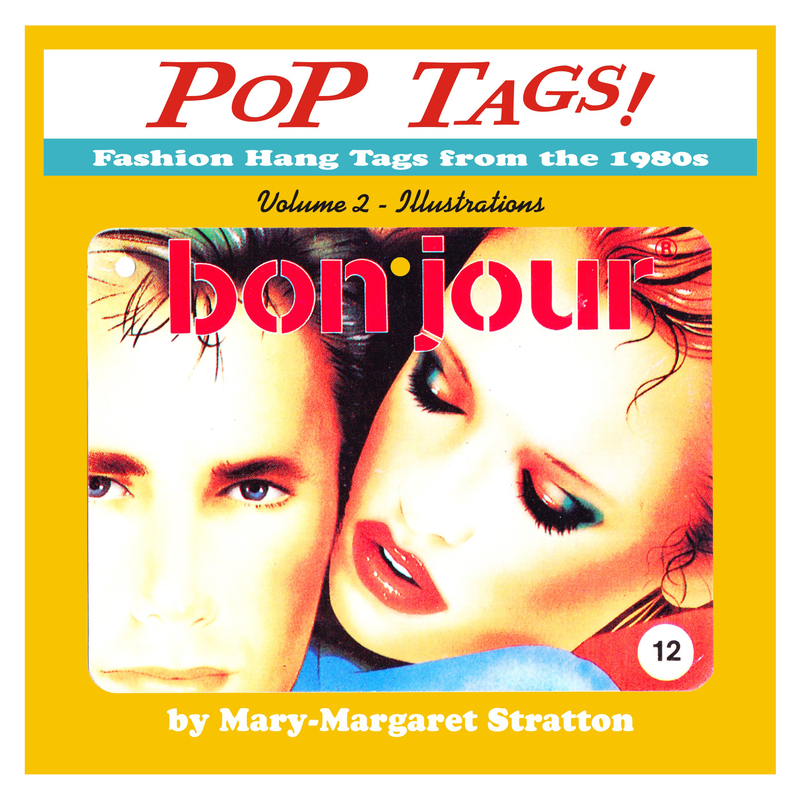 A comprehensive collection of fashion hang tags from the 1980s. POP Tags is a resource and lifestyle book that provides a comprehensive overview for fashion marketers and merchandisers. 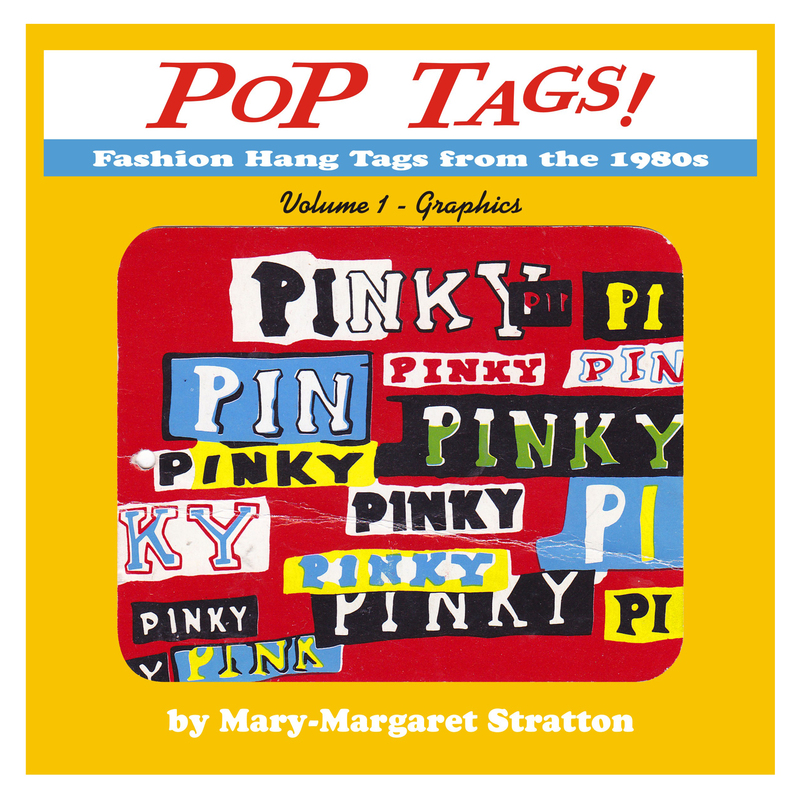 Award-winning Creative Director and designer Mary-Margaret Stratton takes you visually and viscerally down memory lane into the 1980s. Hundreds of hang tags tell stories of a decade of desire, decadence and design. Prior to the late 20th century, clothing labels were utilitarian printouts with off-the-shelf typography, giving size and content info. But in the 1980s branding and color brought the in-store fashion merchandising and marketing world to explosive life. New printing technology and new substrates appeared (3D winkies, printed plastic, graphic albums, envelopes, sleeves, post cards, stickers, die-cuts, embossing and foil stamps). Reduced printing costs combined with a creative industry dominated by professionally trained designers and illustrators allowed unparalleled and abundant ingenuity. the era of Pop Tags! This collection will provide an invaluable design resource for a first year fashion student to the seasoned entrepreneur or rag industry veteran.